So why a blog post about a “Bible Dry Highlighter?” I’m a little old fashioned, but I love to highlight verses in my Bible. I’m wondering if one day most of the Scriptures in it will be highlighted, which would for sure defeat the purpose. But I’m just a little zealous, maybe even a little compulsive with it at times. Highlighting in an electronic device is just not the same. However, you do get to choose the color. My favorite highlighter is my green one; I also have a yellow one. I don’t like the yellow because it doesn’t show up like the green. As destiny would have it, I misplaced my favorite marker–“trauma!” For days I was relegated to the use of the yellow highlighter, all the time wondering what in the world I had done with my favorite and dissatisfied every time I drew a yellow line across a Scripture. One morning as I reluctantly took the journey with the yellow highlighter, revelation dawned. I was holding it in my hand and suddenly realized that I could put the green refill inside the yellow highlighter. Amazing–don’t laugh please! I had been so focused on the outside of the highlighter that I failed to see that the inside could be different and could even be changed. I could have the green color even though I was still using the yellow pen. By now you’re asking, “What is this about?” It’s simple–God began to speak to me through this. He said, “How often do you judge by the outside of a person or a situation and fail to see what’s on the inside, or what I’m planning to do to change what’s on the inside, what’s invisible to you. We are so quick to look at people, things, and situations with limited vision, only embracing what our eyes are accustomed to seeing. Our Father wants to teach us how to see beyond our physical vision, see what could be, see what He sees. Maybe you’re in a situation right now, a difficult one, and you can only see one solution, which is not a comforting option. Maybe God is saying, “Let me show you what I want you to see and do in that situation.” Possibly you’re in a difficult relationship, and all you can see is that person’s outward actions and responses. God may want you to see that there’s a different color on the inside; there’s things He’s doing that you’re not aware of. Ask the Lord to help you see what’s on the inside, how He can change the “color” of that person or situation. So after this great revelation of being able to swap the yellow for the green, after evaluating my heart based on the above observations, something interesting occurred. I found the green marker! Many times the uncovering, the revelation, the unfulfilled desire doesn’t come until we allow God to show us what’s really happening, what’s really beyond the label, what the possibilities are. I encourage you not to fall into frustration or despair because the “color” of your situation is discouraging or failing to align with your preferences or desires. Yield yourself to the Lord and allow Him to show you the possibilities, the inside picture, the plan, the path to breakthrough. Your “yellow” can change to “green” despite what you see, despite your circumstances and limitations, and at worst, despite your grief and despair! He always has another color for you, a way to see life through His eyes! In a moment God can reorder your life, eliminate confusion, create the new, and establish you in that new place! It would seem that I learn some of my greatest lessons through life’s simplest experiences. If I’m not careful though, my busy mind will bypass these situations with no further thought as to what the Lord might be saying to me. Ever been there? For several years I’ve been working from our bedroom in a comfortable chair where I read, write, study, etc. I did have an office, but it’s now been converted to a makeshift bedroom for when guests come. I had a small antique table next to my chair that you see in the picture above. It’s been piled with everything I needed access to–mail, books, notebooks, pens, pads, and the list goes on. I would try to rearrange and organize it, but invariably it would sooner or later (mostly sooner) end up in a mess where I could never find things. Sometimes I would even have to move to my bed where I could spread things out to find what I needed. Maybe the transformation you need is not as simple as the purchase of a bookcase, but the Father who opened my eyes to see this simple alteration is ready and willing to enlighten you no matter how desperate or disorderly things are in your life. Remember all it takes is a second in time where we actually hear and receive His Word, His revelation, His wisdom about a particular situation. All the circumstances may not change immediately, but suddenly you’ve got the word and insight you desperately needed. Disorder becomes order; chaos comes under His authority and control; frustration and fragmentation are replaced with joy and fruitfulness. In just one moment, He can turn your mess into a miracle! It sounds somewhat like a circus act, doesn’t it? If you’re from my generation you can definitely relate. If you’re the younger generation, you may not be familiar with the infamous lion tamer in the center ring of the circus holding the lions at bay with the use of a whip and a chair. But this is not about those kinds of “beasts!” The beasts we’re referring to are the “mind” and the “mouth.” Not that they have to be “beasty,” but without some “taming,” they can quickly become that! Thankfully we have a solution for “taming the beasts.” But keep in mind there’s an act of submission that’s required for this process to occur. We have to make a decision to voluntarily limit what we might choose for something of greater priority and higher purpose. His purpose, His priority, His command, intimacy with HIM IS the higher purpose! As we “tame” the mind and the “mouth” and get still and silent before the Lord, invariably we tend to have expectations: Will I be able to hear Him? What will I hear the Lord say? Will I get some answers I’ve desperately needed? Let’s remember that above all, our Father may simply desire for us to enjoy quiet fellowship with Him. Maybe His plan is to “brood” over you and create something you didn’t even know you needed. Maybe He wants to re-write some things on your heart to break old patterns that have kept you from the best He has for you. Whatever the case may be, it’s worth “taming the beasts.” Interestingly, as the story goes, the reason the lion appears to be tamed is because he is single minded and can’t focus on all four legs of the chair at the same time. He has to be still and attempt to focus because of being single minded! I think there’s a lesson in that for us! So whether it’s the first thing when you awaken in the morning, the last thing before you go to sleep at night, in your quiet time, at random moments during your day, or at a traffic light on your way to work–wherever! The word for all of us is to submit, make time, be still, be quiet, focus, be single minded, and let the “beasts” be tamed! Let everything that concerns you be absorbed by His Presence! God wants to empower and ready you through intimate times with Him. Remember, His Kingdom is arising in unprecedented ways in this hour. One particular circus was known for the line, “The greatest show on earth!” We are yet to see “THE GREATEST SHOW ON EARTH” as GOD covers the earth with His glory and reveals His splendor and power through His Church! As we prepare for Thanksgiving here in the U.S., we are grateful for this opportunity to pause and reflect on the blessings and goodness of God that we’ve experienced throughout the year! We know it’s always a “thanksgiving season,” but we value this designated time set by our nation to STOP and GIVE THANKS! How extraordinary an opportunity and certainly to be treasured when you consider the battles we’re confronted with to preserve such holidays as well as our Christian heritage! This morning as I began my quiet time, I was reading the devotional from yesterday from Sarah Young’s book, Jesus Calling. This really caught my attention: “THANKFULNESS takes the sting out of adversity. That is why I have instructed you to give thanks for everything. There is an element of mystery in this transaction: You give Me thanks (regardless of your feelings), and I give you Joy (regardless of your circumstances).” This is supernatural and our natural mind can’t comprehend it! It’s beyond our capacity to understand in the natural how this can even work, but God, our loving Father, gives us this command so we can walk in freedom and peace! I realize that holidays can be difficult for many people. They struggle during this season for numerous reasons: loss of a loved one, illness, loss of job or provision, fear of the future, unpleasant or destructive things that have occurred at holidays, and multitudes of other things that come to rob them of a thankful heart. But God’s Word “commands” us to give thanks in all situations! This doesn’t trivialize or oversimplify anyone’s grief or circumstances, but instead it’s an encouragement to step into the divine exchange–your sorrow, fear, oppression in exchange for His joy and peace! There are no restrictions, no burdens, no captivities, no oppressions, no circumstances too difficult–nothing is exempt from this Truth! The focus on your adversity will defeat you whereas the focus on the Lord and a thankful heart will free you! We had a friend years ago that said Thanksgiving was generally a time for dysfunctional families to come together, do their dysfunctional thing, and then end by sitting around eating pumpkin pie. This is sad but often true! Maybe words of thankfulness would help to dismantle the dysfunction! 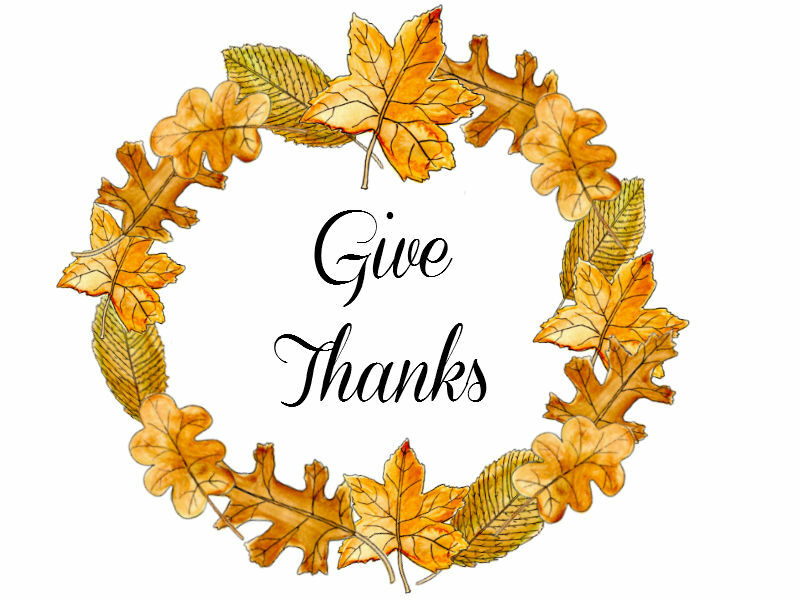 As you begin your Thanksgiving Holiday, and as you embrace this time of “thanksgiving,” be challenged to move into a new place of thankfulness that embraces each moment with a heart as well as words that express thanks in all situations. Be sure to tell your friends and family members how thankful you are for them, even those that know how to “push your buttons.” Pray for those in the Body of Christ who are buried in thankless attitudes. And above all pray for those who don’t know the Lord, that they will come to experience and encounter the greatest reason in the world to be thankful–the gift of God’s Son, Jesus Christ! It is a beautiful tea set–china given to us by a church in Belfast, Ireland! I couldn’t have imagined this would be an open door to revelation regarding eternal relationships! I’ve always collected teacups in my adult life, but they’ve sat in a china cabinet for the occasional viewer, followed by the stories of how each one was acquired. Several times I wondered if there couldn’t be a greater purpose for these beautiful pieces of china. I experimented a few times using the teacups with my granddaughters or young women in our church that I mentor. We would discuss their concerns and I would encourage and download things the Lord was speaking to me for them. They seemed to enjoy the “tea time” as their generation for the most part rarely stops for an occasion such as this. Then our 50th Anniversary trip to Europe was planned for the spring of this year. One evening at a meal with the pastor and his wife and a few other people from their congregation in Belfast, I began to share about how I love to mentor young women and have tea parties with them. Lo and behold, a few nights later at a special anniversary party for us, they presented us with a gorgeous tea set saying they wanted to plant a seed into the lives of these young women. If you could have seen the young woman’s eyes when she stepped into my dining room and saw the beautiful tea set with cloth napkins and special little cupcakes called “bundtini’s.” As the tea party progressed, the Lord began to speak to me about the effort and price that must be expended in order to build eternal relationships. In this relaxed but unique atmosphere where a special effort had been made just for her, I began to sense a new openness and the relationship building in a new way. The Lord began to speak to both of us about the honor that’s released when we treasure each other enough to invest at this level. The tea set was like a key for unlocking something very significant. 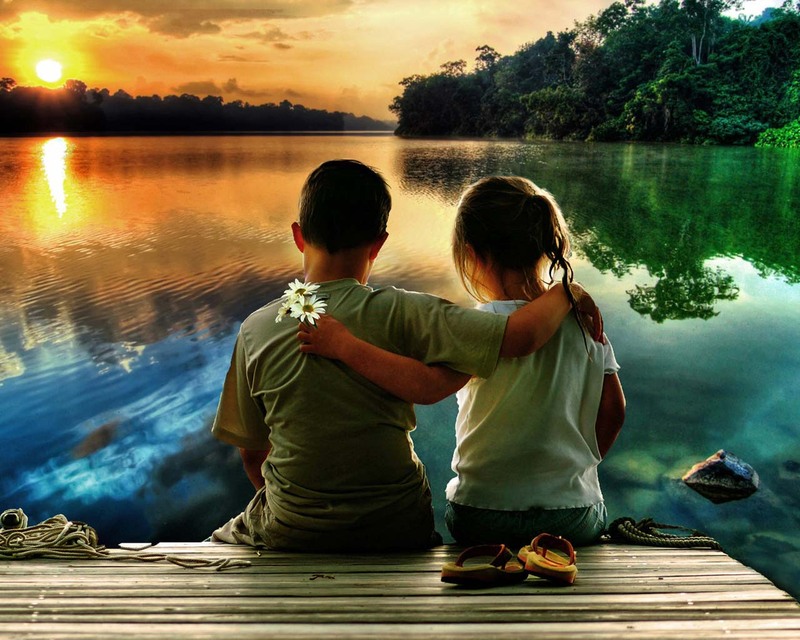 Just as it is fragile and beautiful, relationships are also fragile and beautiful. Tea sets have to be treasured and cared for, but also utilized. They can sit in china cabinets, or they can be brought to the table where they can bless people. Relationships have to be treated in the same manner. So often we walk by and view them, but we don’t take the time to bring them into a setting where they can be valued and shared. It’s through the building and treasuring of relationships that we get positioned for valuable life lessons and encounters that strengthen us for life’s challenges! Social media has it’s purpose, but we should never let it replace face to face encounters–coffee with a friend, an actual sit down dinner with your family, or…a tea party! Jesus chose a table setting to reveal to His disciples an act of covenant that would redeem all of mankind! In the next blog post we’ll look more at the value and building of eternal relationships! If you’re a so-called “baby boomer,” you probably recognized this strange looking device right away. 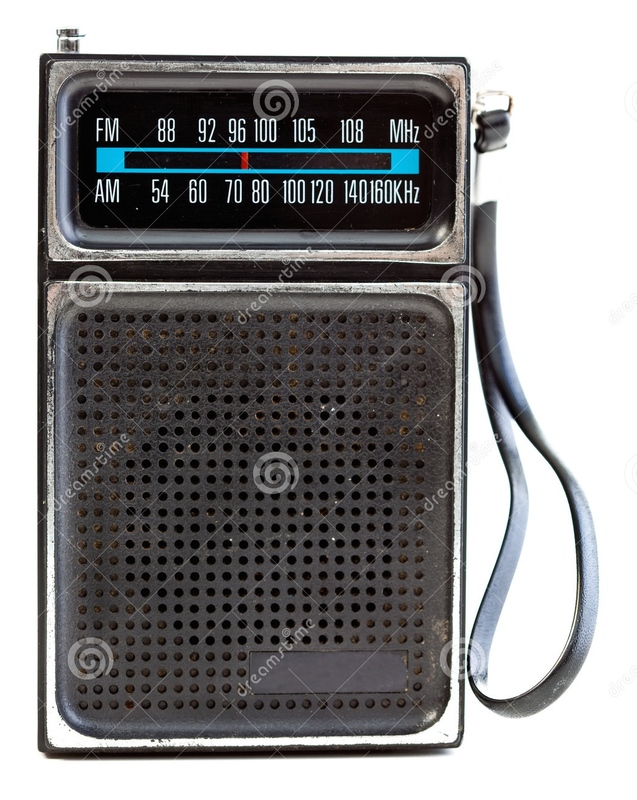 If you’re younger, this little apparatus is a transistor radio! I remember receiving mine one Christmas and the excitement of knowing I could have such easy access to the music I enjoyed. I’m sure I walked home from junior high school (that was the 1950’s version of middle school) listening to my radio–imagine that, and without it being plugged into an electrical outlet! I’m sure you’re wondering what this has to do with spiritual insight or revelation. Well this morning while waiting before the Lord, a vision of one of these little devices came to me. As you can imagine, I was trying to figure out what that had to do with my special time of trying to hear His voice. When I see or hear something, I initially want to know if there’s a personal application. My thoughts were, “God are you telling me this is my level of ability to receive “transmissions” from you?” “Wow! Surely I’m not that far behind.” But I do believe it was a word to me and maybe to you also. I believe He was saying we need to upgrade our ability to hear and receive from Him in this season. Nowadays the trend is to receive information and communication while multi-tasking. It’s not that God won’t speak to you in the midst of another task, but we should never assume this is the preferred mode of communication with Him or even with others. The world’s communication technology has drastically improved, advanced, and literally gone beyond what we could have imagined 50 years ago, and we’ve only touched the surface of communication. But where are we in the Church? Has our communication with the Lord, our ability to hear and receive transmission from Him heightened and improved? Or do we still receive with the capacity of the transistor radio from the ’50’s and ’60’s? We understand that in some situations persecuted believers cannot publicize, phone, or even text information about gatherings due to the possibilities of being tracked and arrested. They have to pray and ask God where they’re to meet other believers in order to assemble together. In a life or death situation, they have learned to hear the voice of God! I believe the Lord is challenging us to upgrade our system! We definitely want our spiritual communication with Him to surpass any natural communication technology. Let’s not make it too difficult though. 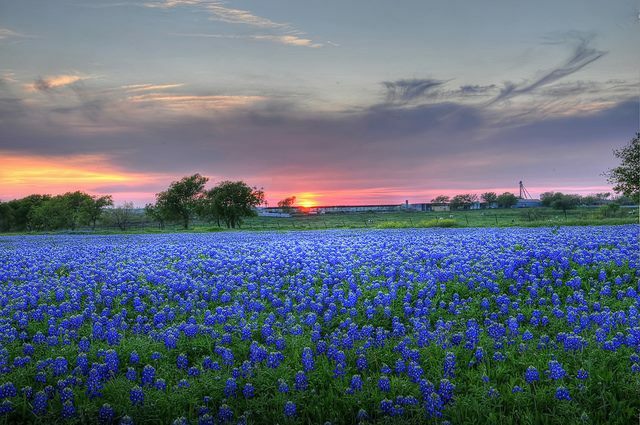 Our friend and prayer leader in Texas, Tom Schlueter, says that hearing God is simply but profoundly, “our spirit poised before His Spirit.” We can envision ourselves as a satellite dish that is continually focused towards Him. In searching on the web for Scriptures related to hearing the voice of God, I clicked on the first site listed. The page opened, and there was a picture of a 1950’s looking television and adjacent to it, a dial for volume control similar to what was on the old transistor radios. The title of the article was, “Turn the volume of the world down, and hear God’s voice!” Yes, I think He’s speaking to me. How about you?? You are probably familiar with this Scripture that comes from a conversation between Jesus and Mary when the wine ran out at the wedding feast in Cana. Mary steps into a place of faith here and puts a demand on the miraculous power that she knew was resident in her Son. But this devotional is not really about that as much as it is about the statement Mary made. Years ago we heard a ministry leader say that as he was reading the Word one day, the Lord told him to stop and go no further until he had obeyed what he had just read. I believe the Lord is saying that in 2015 we must shift out of a place of thinking the instructions in the Word are optional for us! For example, if the Word says, “forgive” or “repent” or “love one another” or “praise” or “give,” these are not electives where we get to choose whether we want to do them or not based on how we feel. These are commands! We live in a culture heavily influenced by hedonism and self-gratification. If we capitulate to these influences, we negate our position as sons of the Kingdom and never come into a place of really knowing the Lord. We remain in a limited place of impossibilities instead of walking in our destiny and securing our inheritance. We’ve made this way too hard, folks! Your future opening up before you, can be as simple as obeying what you read in the Word! So glad you chose to join me in this new venture-Blogging! I hope you are blessed by these simple “minutes of revelation” I’ve received from precious times with Jesus! !